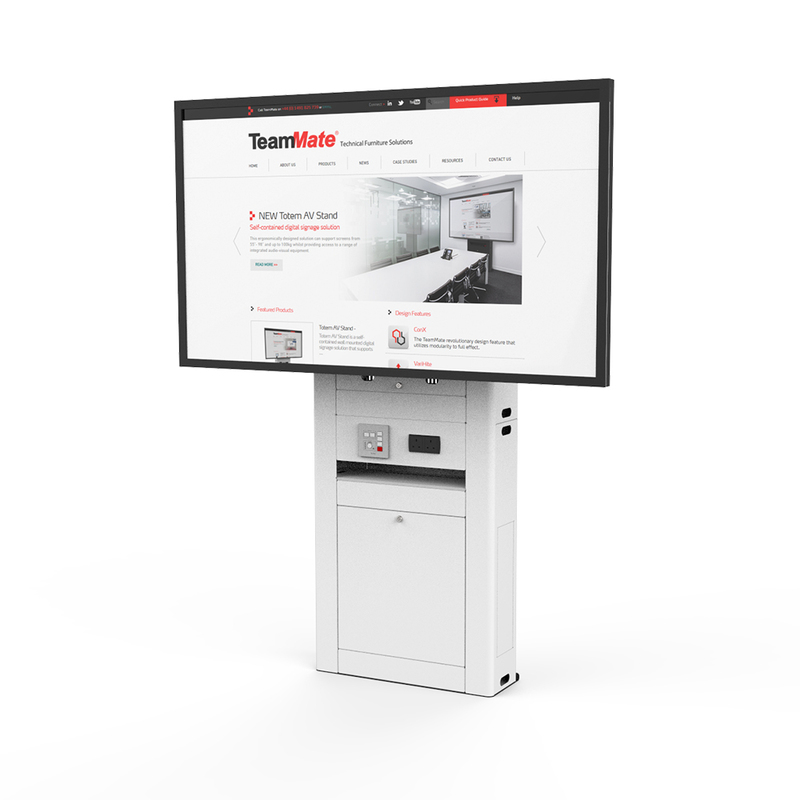 TeamMate were approached by Tech Data Maverick to upgrade their meeting rooms in multiple office locations across Europe. 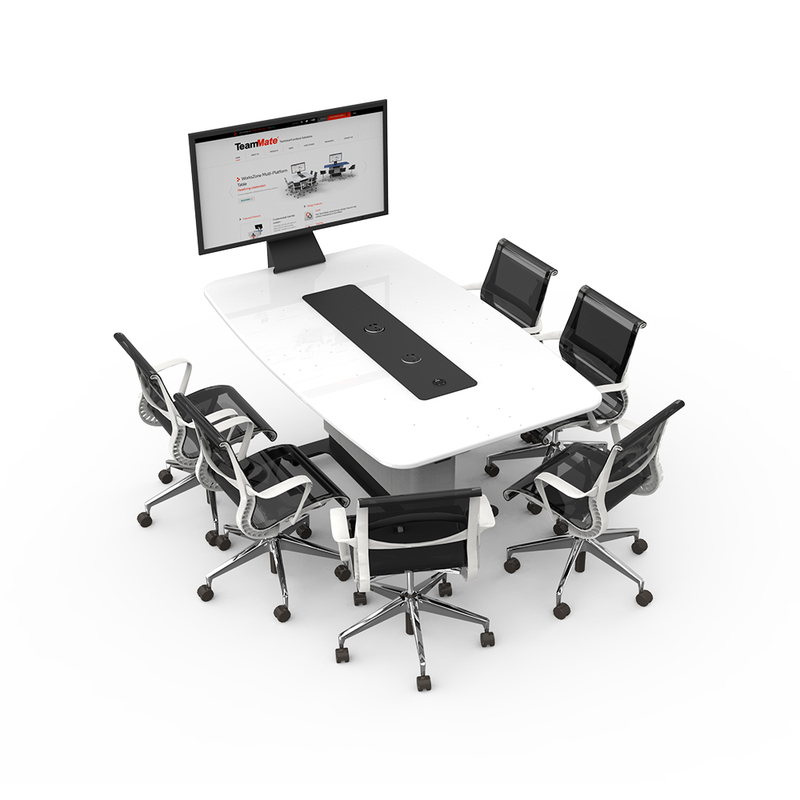 The initial brief required a fully height adjustable meeting room table that fitted in with the suite of products the distributor also has in their portfolio. 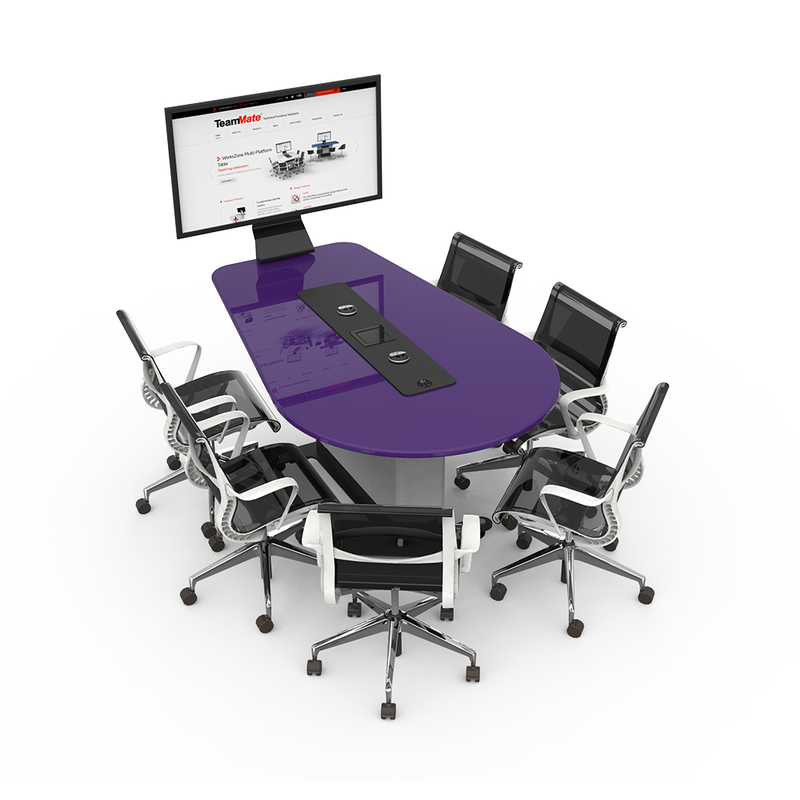 Tech Data Maverick were looking to set up Microsoft Experience Centre’s within these meeting rooms for their partners and subsequent clients. 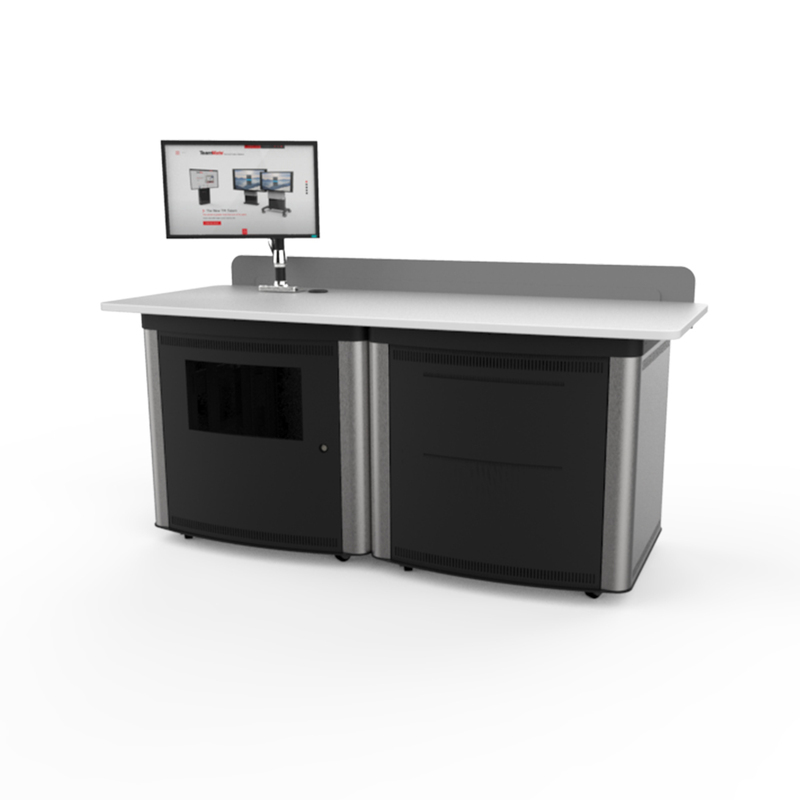 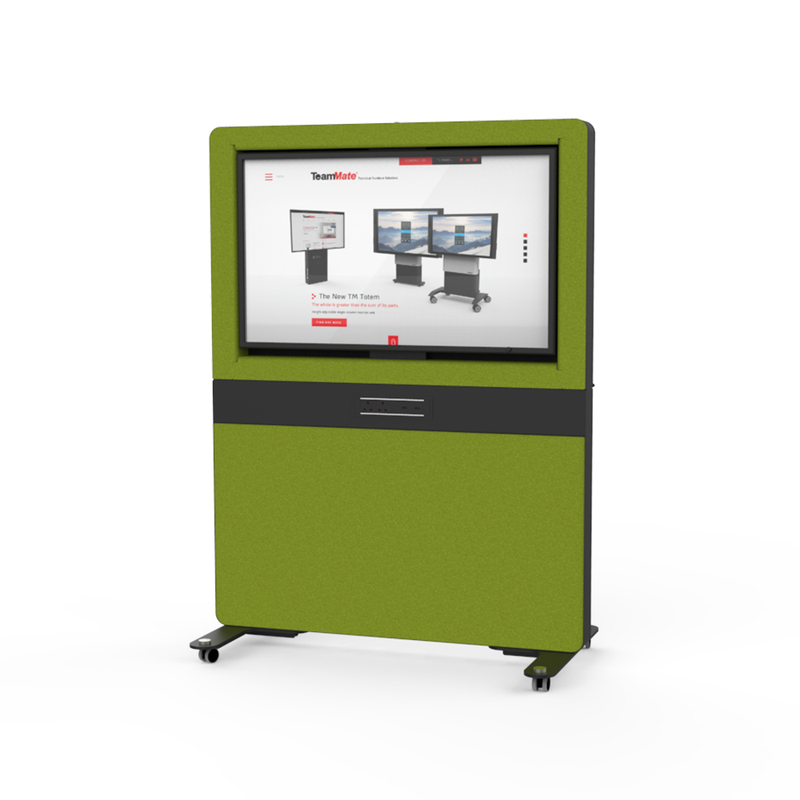 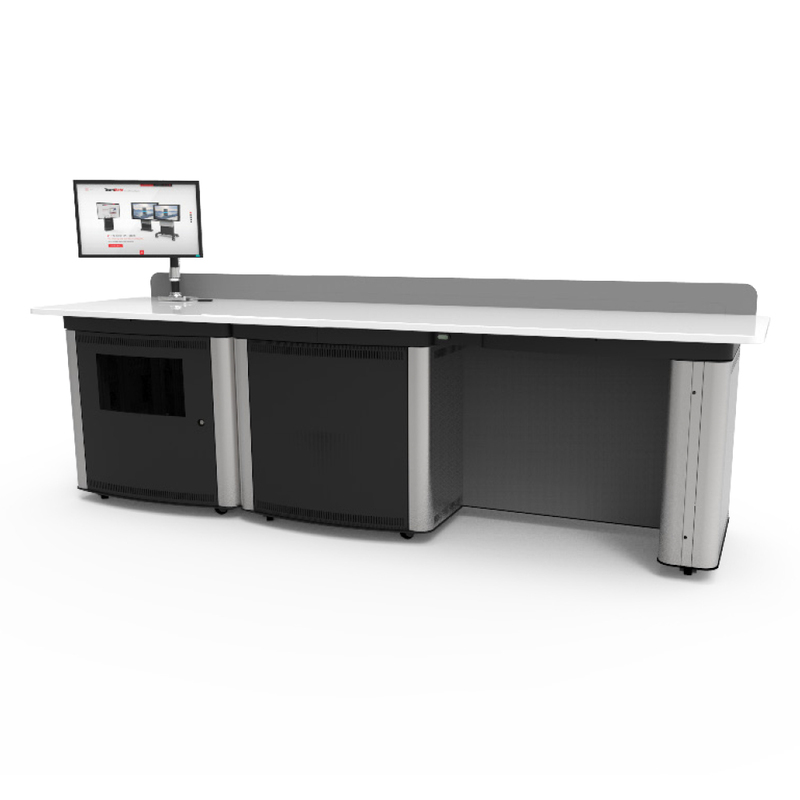 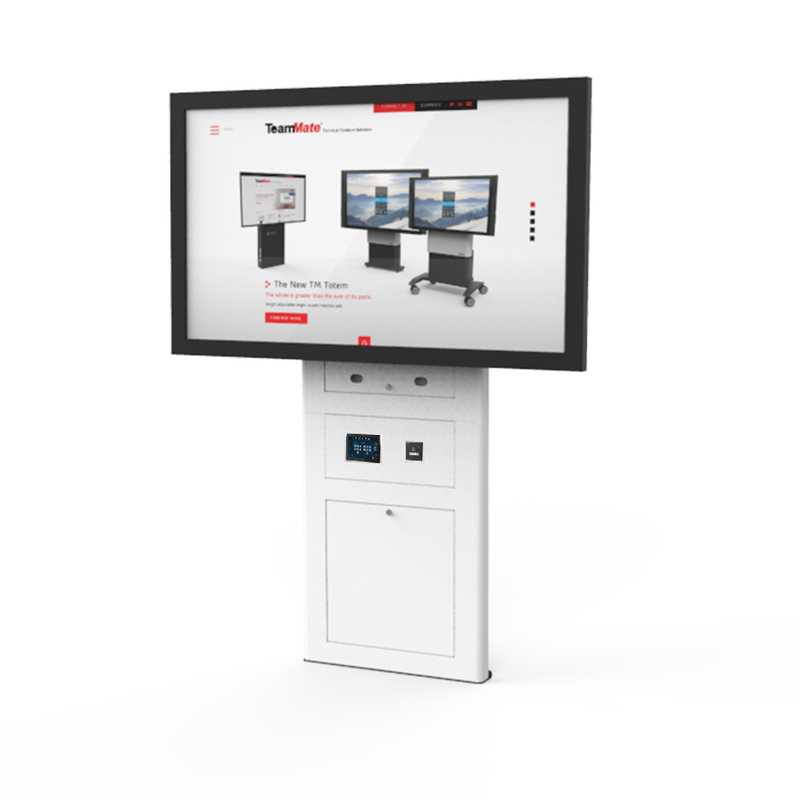 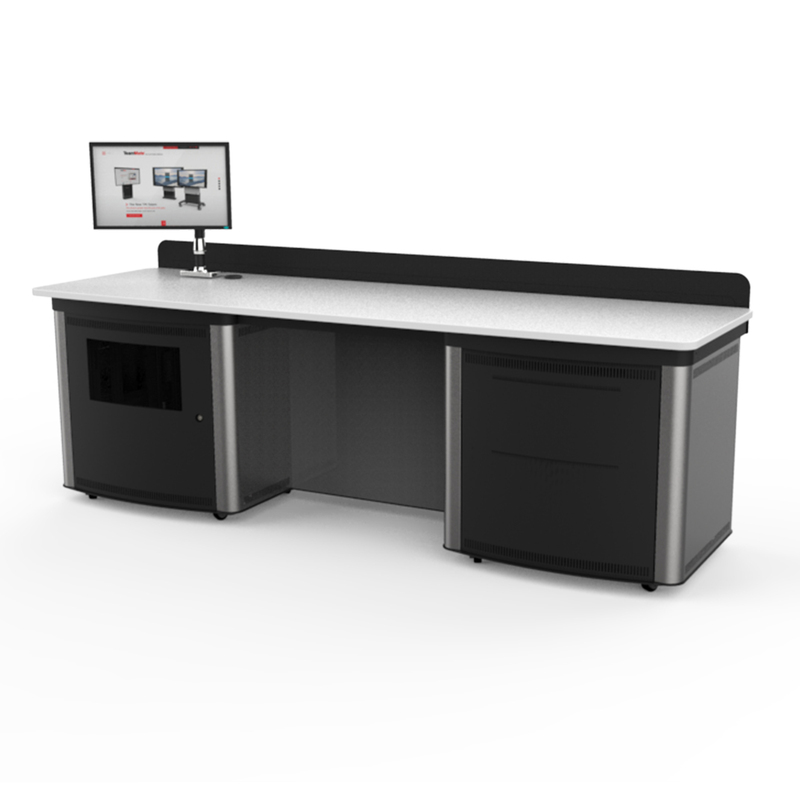 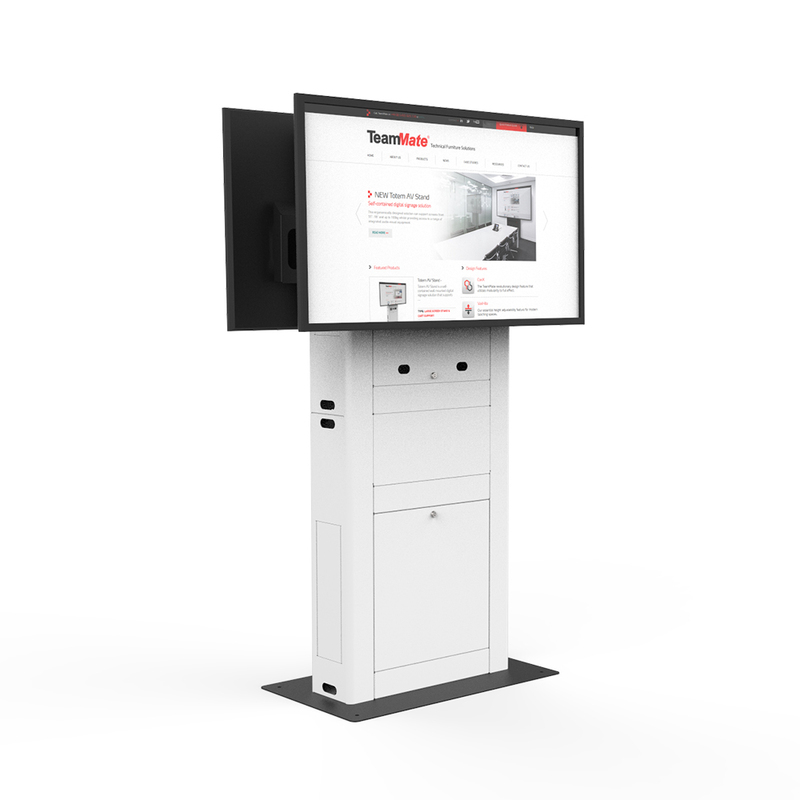 They therefore required a furniture solution that would suit the look and feel of the Microsoft Surface Hub and other collateral products within the room. 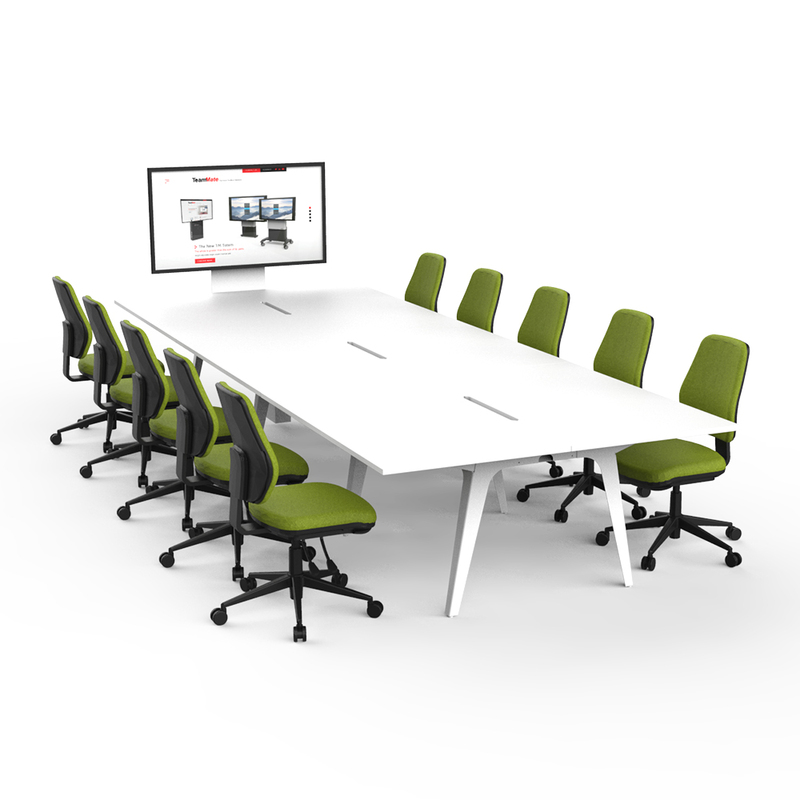 Each table needed to be able to accommodate 6-8 people at a time and required basic power and connectivity which enabled users to connect their devises to the screen either wired or wirelessly. 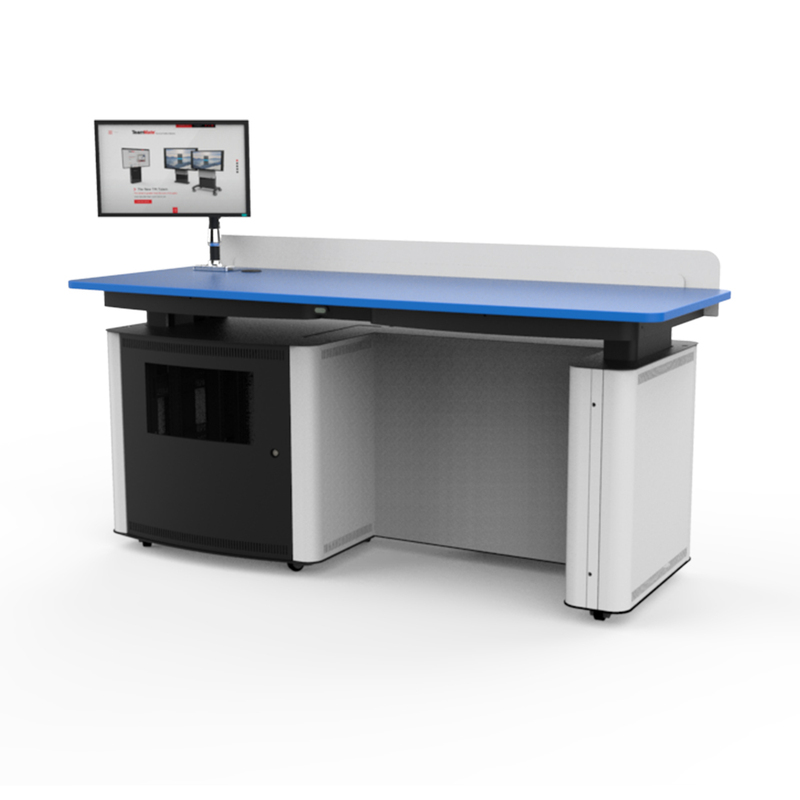 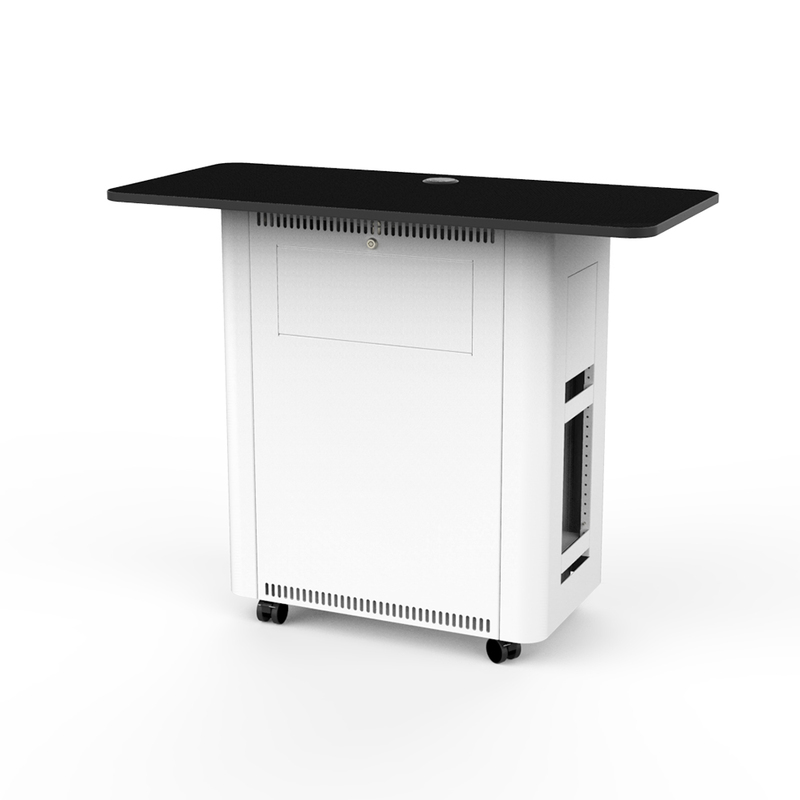 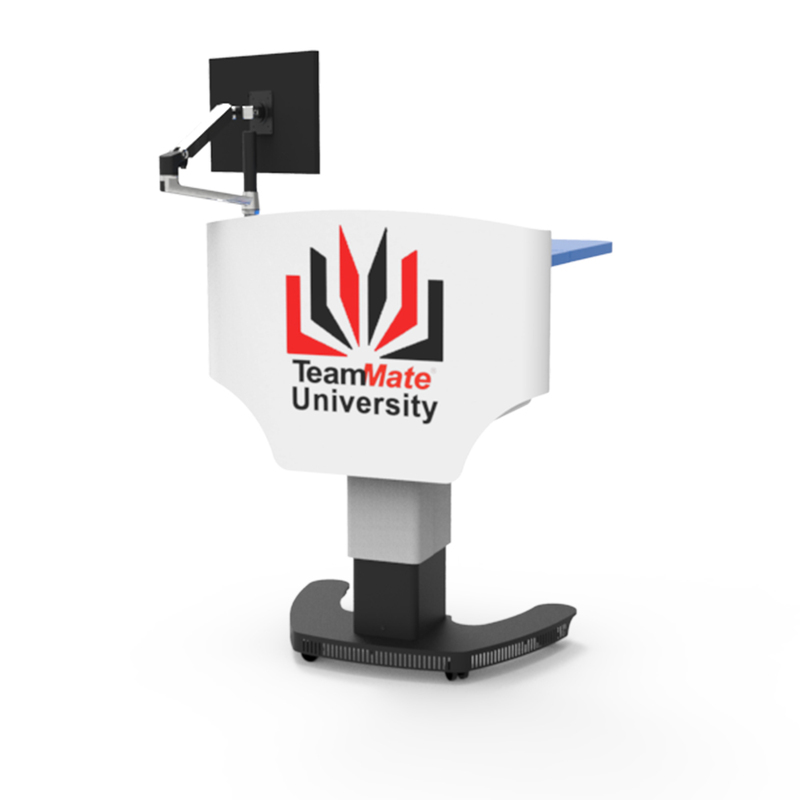 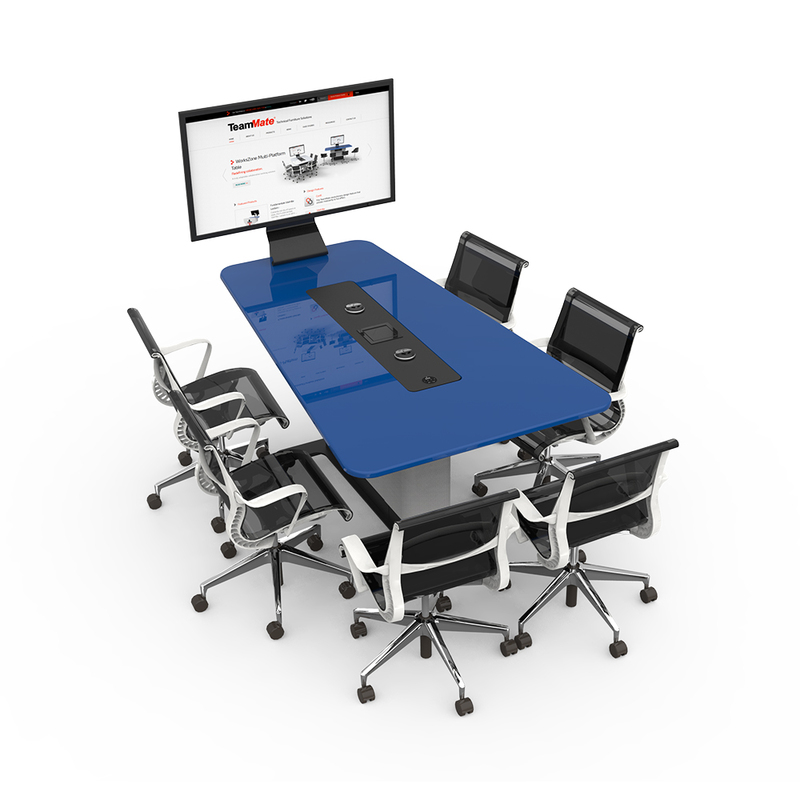 TeamMate manufactured and built a variety of WorksZone Collaboration Tables with VariHite (height adjustment feature). 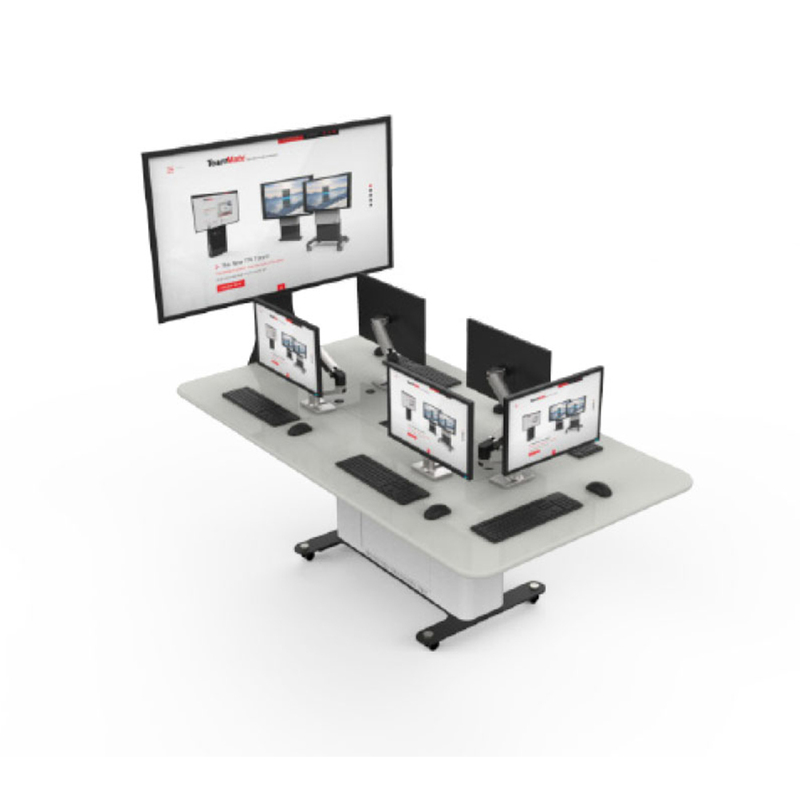 As per the brief, each table needed to accommodate different number of users therefore there were a range of different lengths needed in each location. 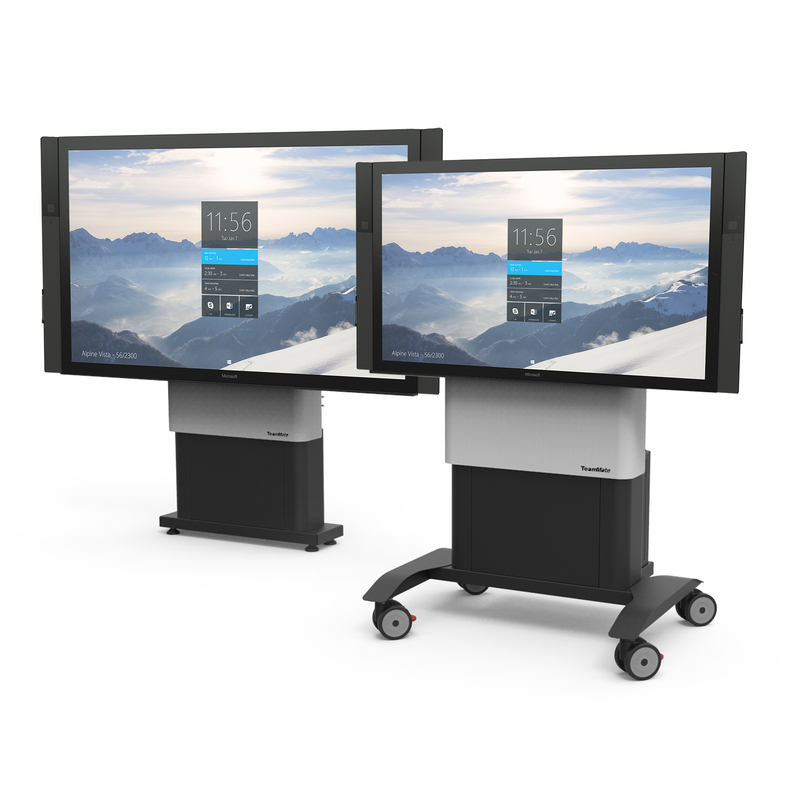 The tables also had no need for a monitor mount as Tech Data Maverick used their own mounting solutions to go with the Microsoft Surface Hub screens. 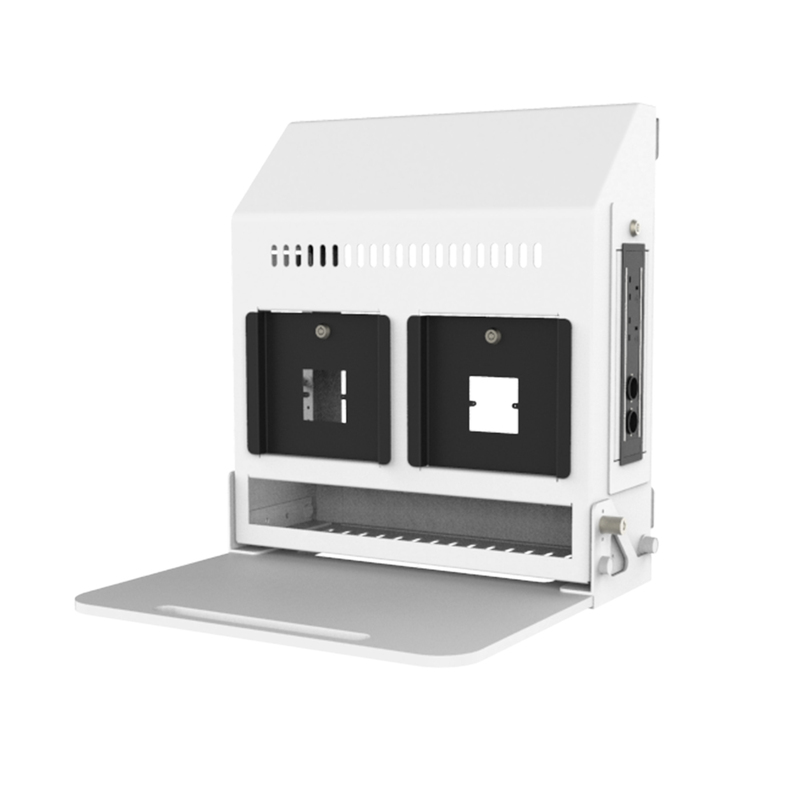 The central connectivity module of each table was required flying leads from the TechWell beneath to come through to the worktop allowing users to plug in their devises, in addition TeamMate provided European power sockets. 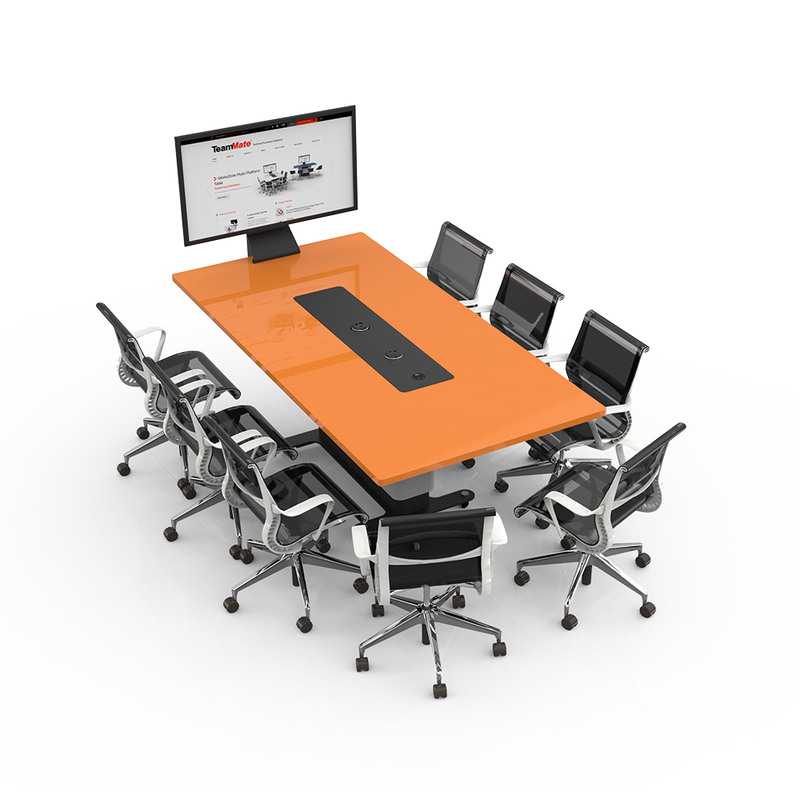 Each office acts as its own experience centre for Tech Data’s partners who want to expose their teams to the full power of Microsoft solutions or demonstrate them to prospective customers. 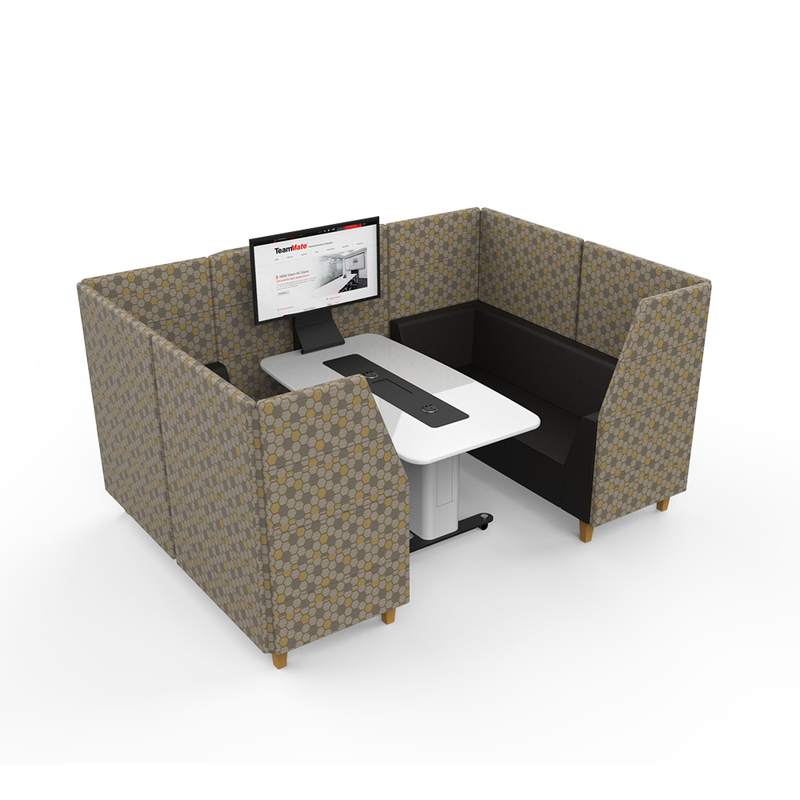 Now with more SMB customers looking to benefit from the collaboration and the cloud, the Microsoft Experience Centre’s act as a useful facility for live demos and initial proof of concept work. 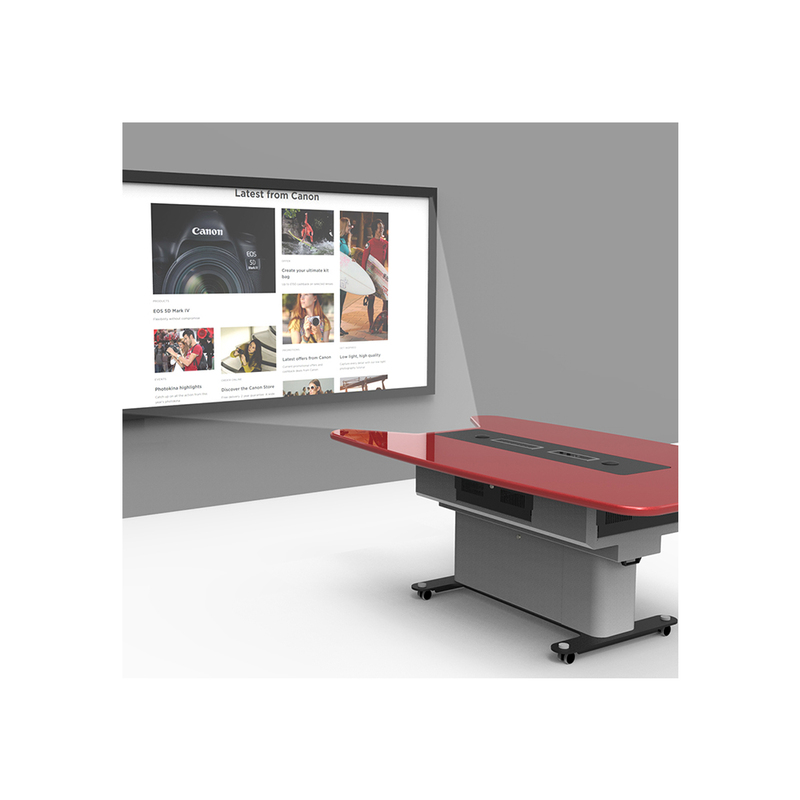 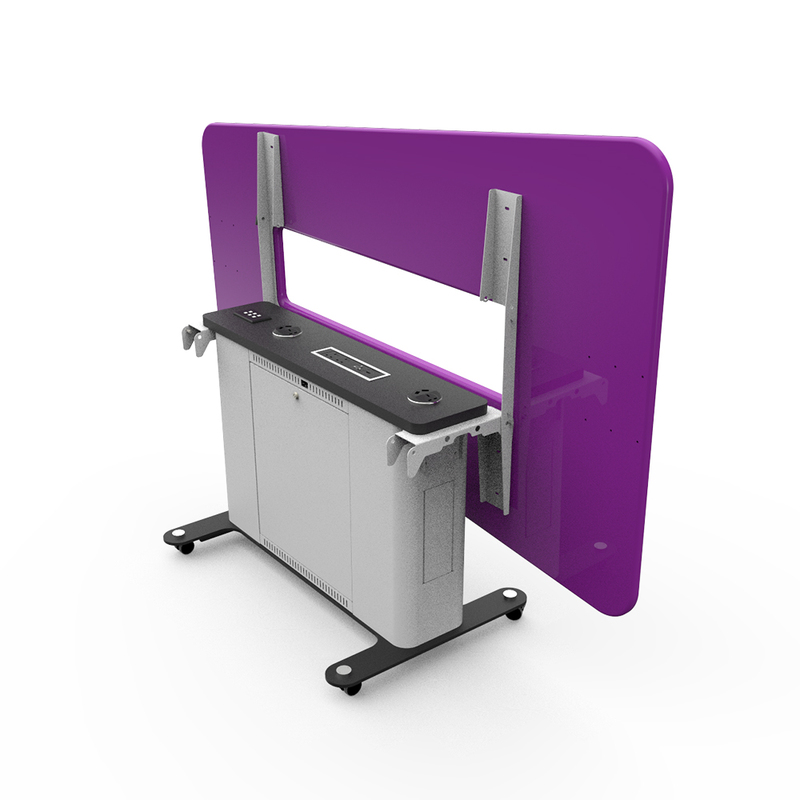 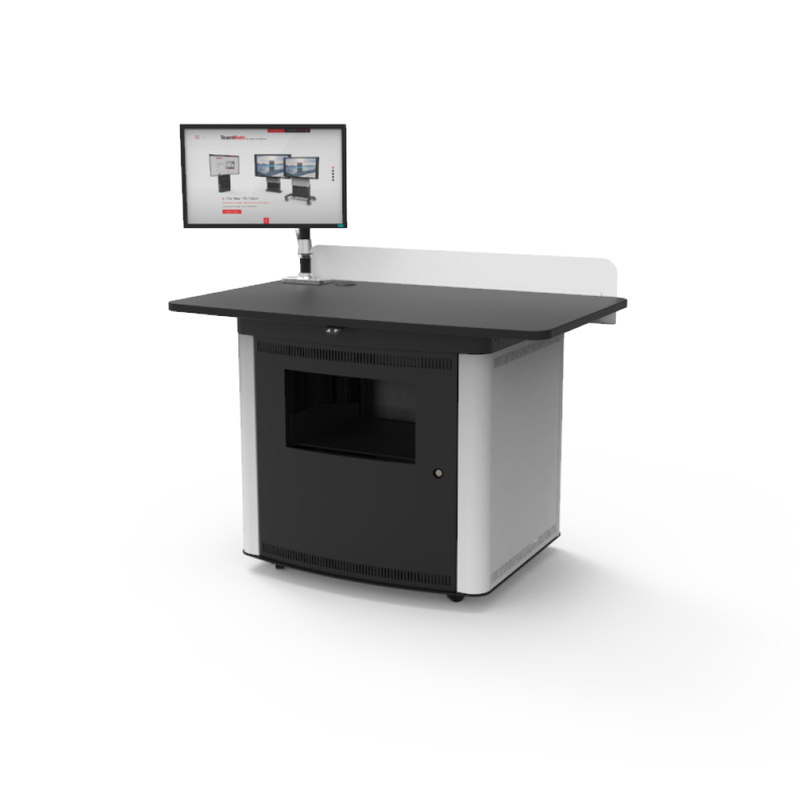 The height adjustment feature on the WorksZone Table has proven to be a popular option for most corporate boardrooms and meeting rooms. 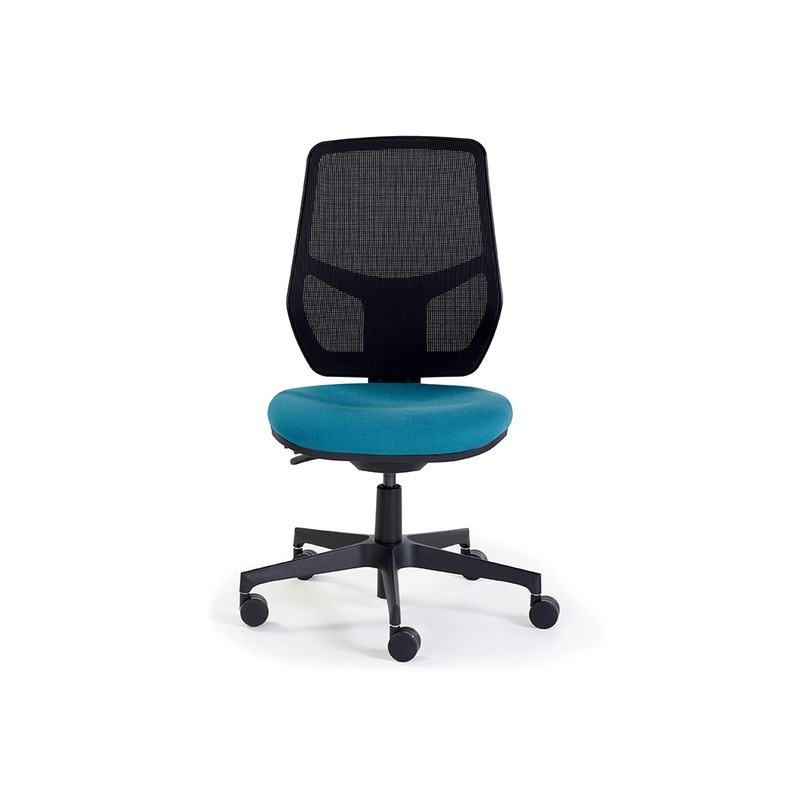 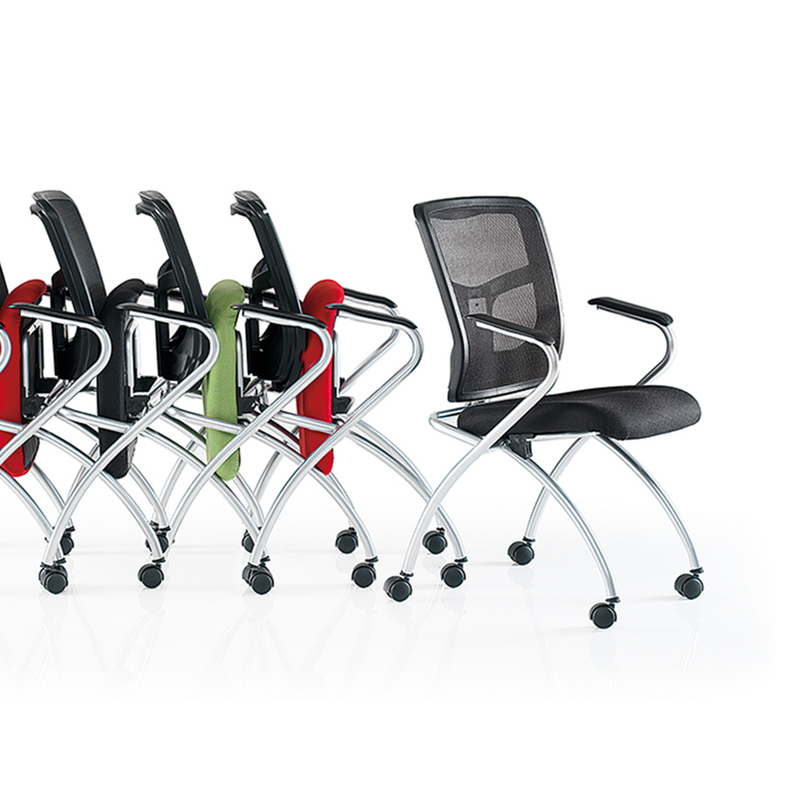 The option to move seamlessly from sitting to standing can encourage quicker meetings and a healthier work ethos. 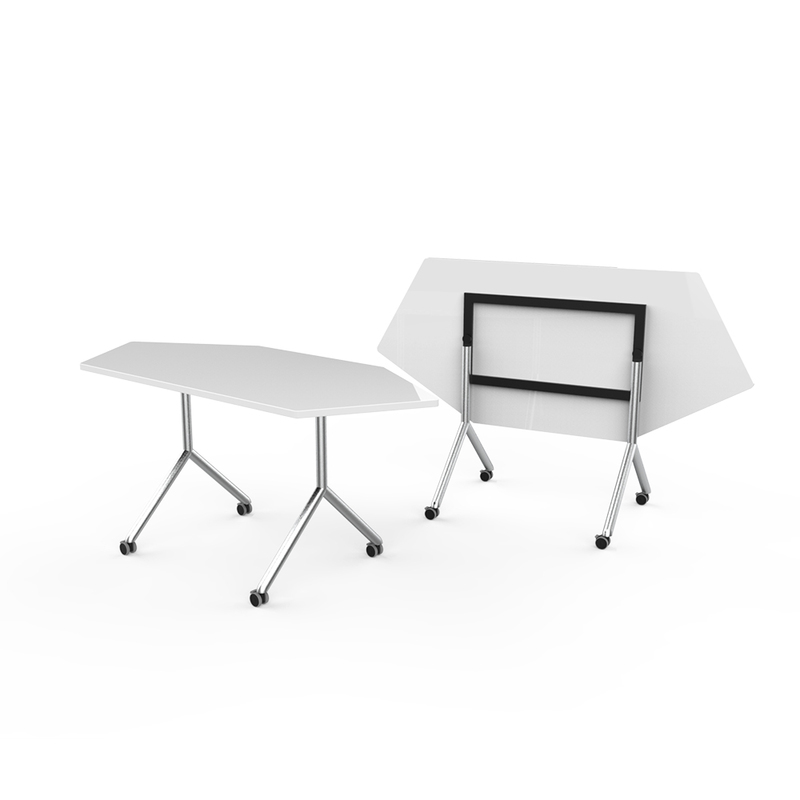 TeamMate organised the shipping and logistics for all the showrooms where the tables were installed across Europe. 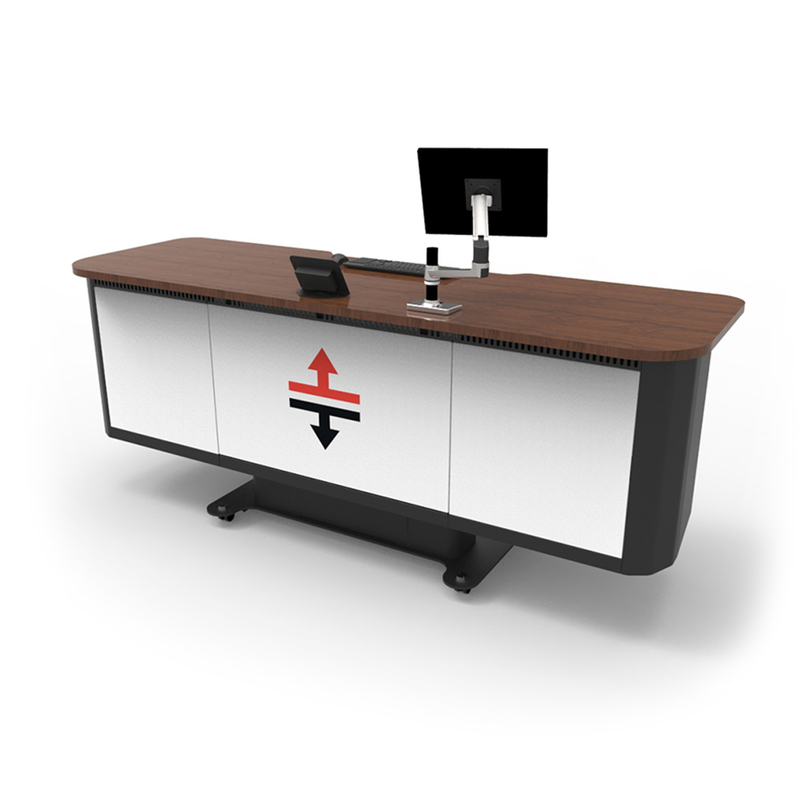 Locations included experience centers in the UK, Netherlands, Spain, Italy, Germany, France, Belgium, Denmark, Sweden, Norway and Finland.